Firstly, thank you to the Spencer Park Surf Lifeguards on duty on Saturday 28th November who were called on to perform first aid treatment, for a patient who appears to have been involved in a non-fatal drowning incident. Luckily he made it out of the water, as Patrol hadn't yet started for the day. Remember to always swim during patrolled hours and to swim between the flags! This is a reminder to all lifeguards to be vigilant and on time to patrol. Well done to those involved. 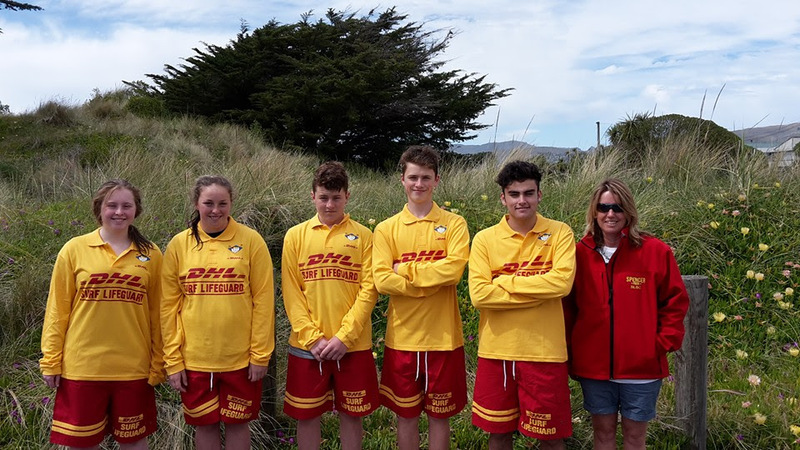 If you wish to become a lifeguard, we would really appreciate your help, please contact lifeguarding@spencerpark.co.nz. It can be a rewarding and fun weekend activity and a chance to meet new people. This highlights the need to support our Auction night to raise funds for our new clubhouse/community facility, as this boy had to be treated on the floor in the IRB shed. The success of the auction night depends on our club members getting people to go. Janine, Linda and Jim have done their best to get the best auction items, so we would love to see you all there. THE MAC TAVERN, 6.30pm onwards. If you don't already have tickets, please contact Linda 0274086276. Children welcome until 9.30pm. No club day on Sunday 6th December or 13th December as there are carnivals - see below for further details. We would like to see everyone attend these carnivals if possible. Club day on 20th December will be a fun day with races for athletes/juniors and parents/helpers. Club days have been successful with lots of new members. If you have any questions or queries about the group you are in, please feel free to contact Libby at Juniors@spencerpark.co.nz. The committee would like to welcome Louise Herring onto the committee. She has taken up the role of "Funding Officer". We appreciate her support. Below are 5 of our new lifeguards. Congratulations to them: Millie Reed, Caitlyn Penney, Harrison McKenzie, Joel Maguire, Justin Davis. Jessica Aitken has also qualified, so congratulations to them all. Meet at 8am, so we can sort out team managers and relay teams. 8.45am is warmup. 9am start. You must have a club hat. If you wish to compete at this carnival, you must register your interest with Libby at juniors@spencerpark.co.nz by Wednesday 8pm, as you need to be entered to compete. No entry, no competing! There are flags, sprints, surf race, board, board relay and diamond. All under 14/13/12/11 must have a current 200 metre badge (if you want to compete in water events) and it must be on your beanie. Under 10 who are doing foam board race, also need a 200 metre badge. Please note you cannot do water events without it. Please let us know if you do not have a 200 metre badge and want to do water events, because you will need to come to Graham Condon Swim Training and sit your 200 metre badge. We also need parents to help out on the day, so let us know if you can help. All water event competitors must wear a pink vest and a club cap. If you use a board and want to help load it onto the trailer, check our facebook page for loading time. Dave will put it on there Saturday morning. Run in conjunction with the junior carnival. Meet at 8am to help unload trailer and put up tent. Trailer loading to be advised by Dave. It will be Saturdayand time will be put up on facebook page Saturday morning. Also, advise Dave by Friday if you interested in ERC's. This is on the weekend of 12/13 December. Please advise Dave if you are a senior and want to race and please advise juniors@spencerpark.co.nz, if you are a junior and want to race. More details to come in the next newsletter. Senior trainings are on offer Monday, Tuesday, Thursday, Friday, Saturday and Sunday and every second Wednesday night (1st one this Wednesday). Times are 6pm weekdays and 9am weekends. No training on days of senior carnivals. Trainings are on offer for Development Squad on board on a Monday and Tuesday, Wednesday swim training at Graham Condon, Thursday board training and Friday beach training. Contact Dave if you wish to train. 027 4070779. Chris Parker and Sam Baker are currently coaching new drivers and crewmen. If you have not been to these and want to, please advise Chris atlifeguarding@spencerpark.co.nz. If anyone is interested in being involved with this group we will be holding a meeting after Training on Friday 11th December, by then we hope to have more definite information on some of these ideas.